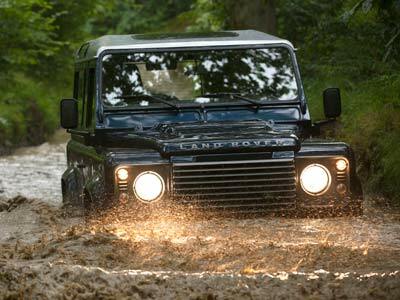 The iconic Land Rover Defender gets a little upgrade for an early Christmas. A new 2.2-litre diesel engine has replaced the 2.4-litre diesel, matching it for power, torque and fuel consumption, whilst a full acoustic engine cover replaced the previous splash cover, reducing radiated engine noise and improving driving refinement. The 2.2-litre diesel engine produces 90kW @ 3,500rpm and torque of 360Nm @ 2,000rpm, CO2 emissions on the combined cycle are 266g/km for the Defender 90 and 295g/km for the 110 and 130. The GFT MT 82 six-speed gearbox has a high top gear for cruising and enhanced low-speed crawl capability. There is a choice of three more options as well as the choice of two new body colours, Barolo Black and Havana. Smart new, contrast roof colours can now be chosen against the majority of the Defender paint palette. In addition to the standard Fuji White, customers can now opt for Santorini Black, Indus Silver, Orkney Grey or Firenze Red. The Firenze Red for example, can be chosen with the Santorini Black roof and the Baltic Blue with Indus Silver or simply retain their body colour. Premium part leather seats which contour your body are available to the driver and front seat passenger, sporting the Land Rover logo on the backrest. The style of the seat naturally enhances driving support and comfort over the toughest of terrain. An integrated, centre stitch line on the headrest is also visible and adopted to the current standard seat in the Defender. A Leather Pack is available – Part leather seats and leather steering wheel available on all body styles (except 130 derivatives). The base audio system for the Defender has a single-slot CD player, USB, Aux jack and 4x50W amplification with an optional audio upgrade available for Bluetooth connectivity with remote microphone. A plain black Pick Up hood is also available as an option and a plain beige hood for the 110 Double Cab Pick Up. Both options are in addition to existing styles. All models have tinted glass and there’s the option of part leather standard seats in addition to the new premium seats. I visited Namibia recently and drove a chipped VW 1.9 TDi LWB Kombi and the 2,0 FSi Q5 Audi. Let’s look at the cars first. Starting with the Q5, which I drove in and around Windhoek. I tested the Q3 at the end of May (check review) so found it interesting to drive the big sister a few weeks later. It was also interesting to compare the turbo petrol to the turbo diesel. 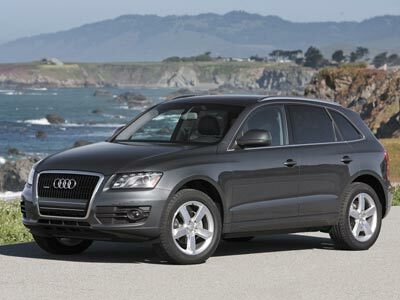 In general, the Q5 is a much better car than the Q3 to me. It drives and handles better, sitting very pretty on the road. It feels glued to the road but does not have the choppyness or over firm ride of the Q3. The cabin is spacious and somehow more refined. A lovely place to spend time in. The car did not feel the altitude at all. I think the turbo petrol trumps the turbo diesel by a mile. If you have the extra cash the Q5 is way better than the Q3 and arguably better value. I am told the fuel consumption is fine, but can’t comment myself. Loved it. I drove the VW bus down to Swakop via Erindi. The rather anaemic diesel engine has been re-chipped. The chip apparently boosts performance by 30%. You can feel the difference to the straight 1.9 TDi engine. It worked hard when overtaking but otherwise handled the altitude and the roads very well. The long wheel base version is a bit big for inner city driving, but on the open road and driving in a game reserve it borders on perfect. Hard to beat for space or visibility. These Kombi’s handle very well for what they are. As with most Volkswagens the second gear is a little sticky. The seats remain comfortable even over long distances. 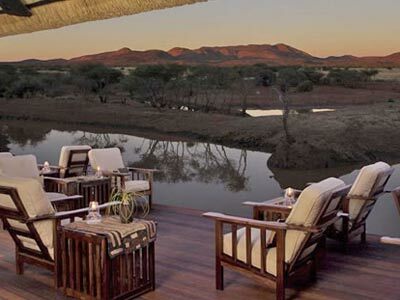 If you are planning a Namibia trip a night at Erindi is highly recommended. SADC citizens get special rates. Everything is included barring drinks. There are two game drives a day, early morning and evening, each lasting well over two hours. In between the stoep (verandah) at the restaurant overlooks a dam. There is a constant stream of life to the water’s edge. Hippos and crocs inhabit the water. The bird life is amazing, both at the dam and on the drives. The food at Erindi is very good. The cakes with afternoon tea have to be seen to be appreciated. Erindi is in the process of developing a camping terrain a few km north of the lodge. The drive from Erindi over Omaruru and Karibib to Swakopmund is varied and remains interesting. The vegetation and terrain varies hugely every hour. Very good biltong shop just outside Usakus on the Swakop side. 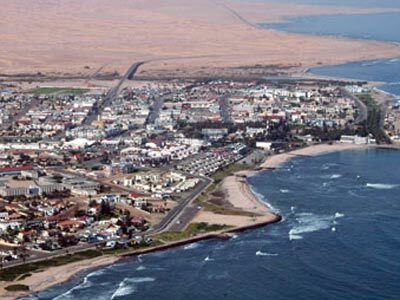 Swakopmund is as great as ever. Well worth a stay of three or four days. 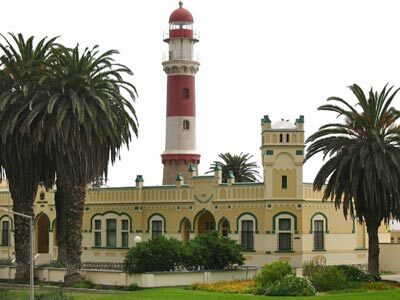 Base yourself in Swakop and visit Walvisbay one day. The seal/dolphin cruises are a must do. A trip north to Hentiesbay is an eye opener. The road is made of salt. It looks like tar from a distance but is much more slippery, so beware foggy conditions. Swakop itself has quad biking in the dunes, camel rides, educational trips into the desert and a load of other things to do. The town boasts and impressive array of eateries and pubs. A lot of the old town has been preserved. It is really good to just wander around the town. Lovely stuff. There are three routes back to Windhoek. One, all tar past Wilhelmstal which has a roadside shop selling local olive oil, biltong and other farm produce. Worth a stop. The other routes offer scenic drives on gravel roads. Slightly washed away with this year’s rains but will be graded soon. The other good stop is the Closwa Biltong factory shop in Okahandja. 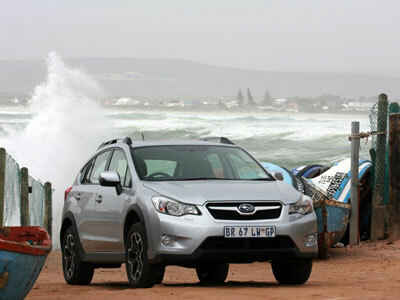 The XV is a new range for Subaru. 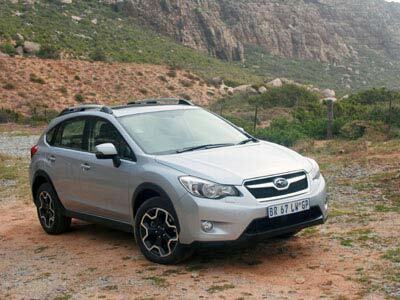 It fits between the iconic Impreza and the practical Forrester. 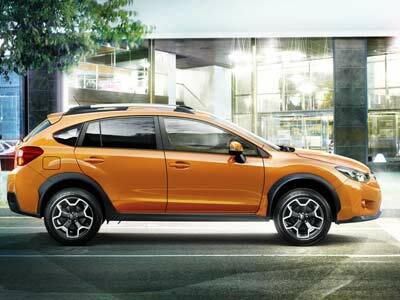 The XV competes with the Audi Q3, Ford Kuga, Kia Sportage, Mazda CX5 and VW Tiguan type cars and beats most of them in most categories. It seats 4 adults comfortably. Boot space is OK too. Fuel consumption is very good for an SUV with all the benefits of a high performance 2.0 litre petrol engine. On a trip from Lambert’s Bay to Somerset West I got 7.6 litres per 100km driving at or around 120km/h where appropriate. On my normal route to and from Cape Town on the N2 and parking on the 8th floor of a parking garage I averaged 8.6 litres/100km, but 7.4 on the N2 leg of the journey. So expect to get well under 9L/100km under most circumstances. The XV has Xenon headlights, almost turning night into day. 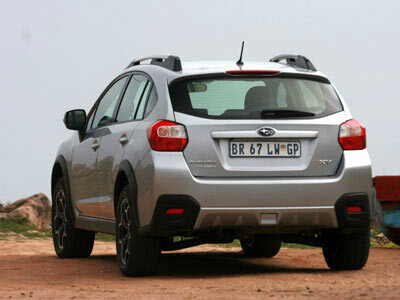 Subaru quote 110kW and 196Nm at 4200rpm from the 2.0 litre boxer engine. At 120km/h you are doing about 2200rpm. I was a little nervous about the 6 speed CVT system. After a day I forgot about it. It not only works like a dream you only hear it when starting or if you listen very carefully while accelerating hard. You cannot hear it when cruising. When overtaking in a hurry you just press the left hand (-) paddle and it downshifts immediately. It will return to auto mode after a short while. This is the best cabin yet by Subaru. It is on a par with all its German and other competition and more practical than most. The seats are very comfortable and adjustable. The driving position is just so. Fit and finish seems impeccable. The instrumentation and controls are as they should be. Materials and colours have been carefully chosen making for a very harmonious and pleasant interior. Lots of nooks and crannies to hold things. Just behind the gear lever is a slot for change and your cellphone. It’s a brilliant touch. The VX has all the kit. 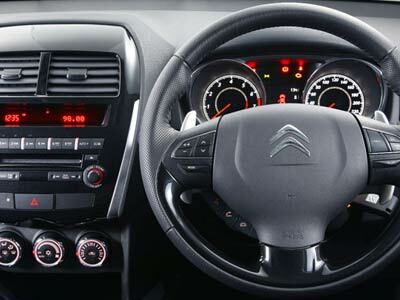 Cruise control, climate control, sun roof, audio and cruise buttons on the leather clad steering wheel, good audio system and a host of storage holders. The cargo area at the back is 310 litres, which expands to 771 litres when the rear seat is folded flat. It is a Subaru. The XV is a driver’s car. Do not expect a WRX though. Expect brilliant handling and excellent road holding, especially on gravel. This car is built for gravel roads. The active All Wheel Drive certainly helps. Skid control can be switched off. On tar there is very little body roll and handling is car like. Brakes are excellent. It goes where you point it. It also goes. Acceleration is good (10.7 to 100), especially for overtaking and top speed is around 185km/h. The car feels wieldy and agile. The XV takes jeep tracks in its stride. It just laps up the dirt, possibly because it has a ground clearance of 220mm and a very good suspension setup. 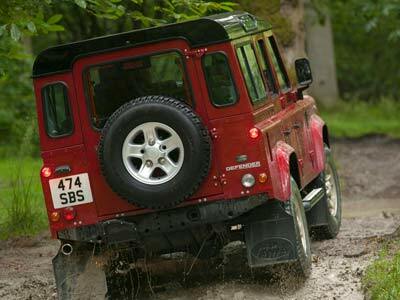 So not an all out offroader, but you can go pretty far off the beaten track. I had to look long and hard to find a few niggles. The spare wheel is a temporary type emergency wheel slightly smaller than the normal wheels. I no like! The optional GPS ( using TomTom software) is a little difficult to get to know. The odd town’s spelling is not the normal South African spelling e.g. Veldrif is Velddrift. I was not able to find the night setting, so it was too bright at night. The medium wave tuner picks radio stations like 567 up, but poorly, due to only being able to tune to 560 or 570, as result it is always slightly off station. Boot space is just acceptable. Four people and their weekend luggage will be a tight squeeze. I loved the car. If you were wondering, it is still a Scooby. Possibly the best all round SUV except for the Freelander, but way more economical. 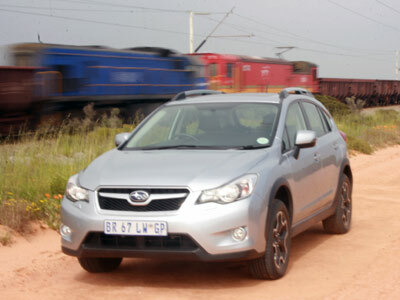 Clearly the best SUV under R350 000. The XV will also be a good family car. Economy is good, handling and road holding is superb and space is not bad. R329 000 for the manual 6MT and R339 000 for the CVT model, which I would recommend. SatNav and leather seats are optional extras. The VX comes with a 3 year 100 000km warranty and 3 year/ 75 000 km maintenance plan. The Volkswagen Touareg is now offered with an optional R-Line package to complement and enhance its sporty design. 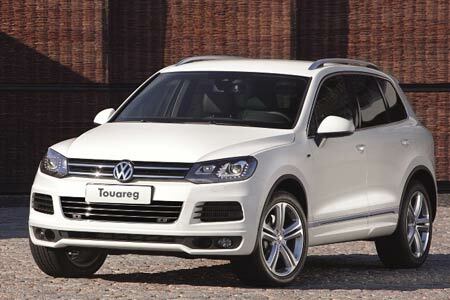 The Touareg is the first model in the current Volkswagen model range to be offered with the optional R-Line Package. With its exclusive R-Design features and sport suspension, the R-Line Package gives Touareg a dynamic exterior look to make it stand out on the road. At the rear, a textured ‘matt black’ diffuser and oval tailpipes are integrated in the redesigned bumper section. The rear look is finished with a unique roof edge spoiler. The R-Design styling continues in the side view with striking side sills in body colour, chrome strips on the doors and R-Line badges on the front wings. The front also sports a new spoiler lip in R-Design. The exterior look is completed with 20-inch Mallory alloy wheels. For the interior, customers get front sport leather seats, heated leather-trimmed tip-shift paddle multi-function steering with gloss black inserts, stainless steel pedals and door entry sills in stainless steel. The R-Line package is available for R35 000 with all Touareg derivatives except the Terrain Tech. 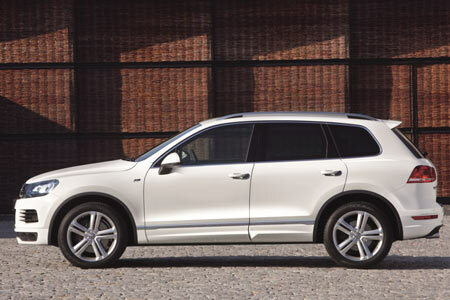 Volkswagen Touareg comes standard with 5-year/100 000km Volkswagen Automotion Plan. 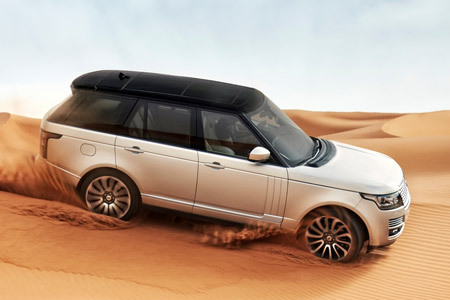 On sale in South Africa from January 2013, the new Range Rover will be a global car, available in over 160 markets worldwide. Designed and engineered at Land Rover’s development centres in the UK, the new Range Rover will be produced in a new, state-of-the-art manufacturing facility at Solihull, UK. The world’s first SUV with a revolutionary lightweight all-aluminium monocoque body structure is 39% lighter than the steel body in the outgoing model enabling total vehicle weight savings of up to 420kg. In addition to the strong and rigid lightweight body, an all-new aluminium front and rear chassis architecture has been developed with completely re-engineered four-corner air suspension. 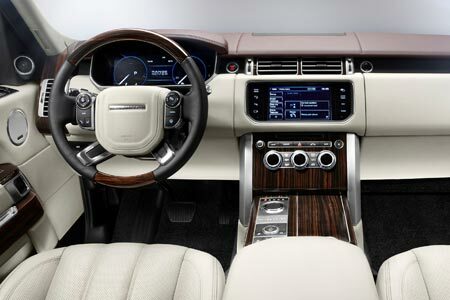 The interior has been re-designed and is even “grander”than the present model. There will be a choice of V8 petrol engines and TDV6 and TDV8 diesel engines. Prices are not yet available. 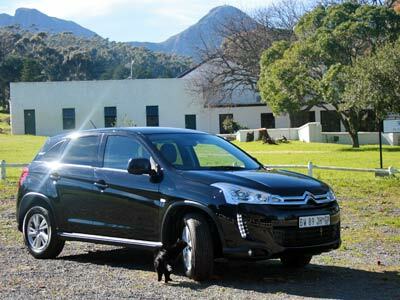 A few moths ago we wrote about the C4 Aircross when it was released in South Africa. Last week we had the opportunity to drive the 2WD manual version. In the looks/ style department it is a winner, both inside and out. I just loved it. Sitting in the driver’s seat (which is very comfortable) almost everything is in the right place . It looks and feels right. Driving around town the car feels almost nippy. It is an excellent town car. The 2.0 petrol engine puts out 110 kW/197 Nm and a combined claimed fuel consumption cycle of 7.7 L/100 km from the five-speed manual or 7.9 L/100 km from the CVT version. I got just under 9 L/100 km. In town the Aircross is superb. All the controls are easily to hand and work well. It has a very well mated clutch and gearbox. It is one of those cars which are easy to drive, except for the problem in the niggles section. There are three dodgy aspects to the Aircross we drove. The computer or trip selector button is hidden behind the steering wheel in a slightly awkward position, but I suppose you will get used to it. Overtaking on the open road needs a little bit of planning. You may have to change down to third to get any real acceleration if you are at altitude. The engine is willing but not completely up to the task of hauling the Aircross effortlessly across the highveld. The third niggle is the rear axle. It has a nasty tendency to wheel hop which may be caused by many problems, including excessive unsprung weight, insufficient shock damping, or poor torsional axle control. When we got the car the rear wheels were inflated to in excess of 3 bar. We deflated to 2.2 bar which improved matters but still a horrible clunking can be heard when cornering and driving over corrugations or uneven road surfaces. Not a car for gravel surfaces. This is a problem you will possibly get used to after a few weeks and not bother you further. I personally like the interior. Not too much hard plastic of the grating kind and very pleasant variety in the textures. Well thought out generally. The driving position is very comfortable and the seats are good. There are all sorts of nooks and crannies to store things. 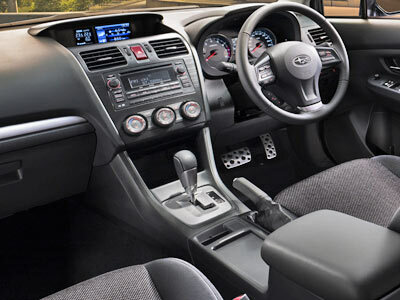 Space inside is satisfactory, from the front to the rear seating with its ample legroom. Luggage space looks fine. This car just has French flair. It is really attractive with well balanced lines. A joy to behold. The C4 Aircross is related to the Mitsubishi ASX and Peugeot 4008 and is built in Japan. In summary the C4 Aircross is more style than substance. Looking at the car I was impressed. Diving it unfortunately less so. All C4’s have a 3 yr/100 000km warranty and 5 yr/100 000km service plan. KISS – I just love simple, easy to use tools which make my life easier and help cut out the hassle. The GPS Log Book is one of these things. Basically it is a device which looks like a car charger for a cellphone which you plug into the lighter socket and leave to do its thing. Voila. Simple, hey. When you want a report you plug it into your PC/laptop and it automatically downloads all your trips and puts it on the database on the net. You then pull the reports as and when you need them. You can use it to monitor your or a driver’s behaviour, how fast he drives, when and the route. You can see all the stops, which you can name. It automatically produces tax and other reports, which you can tailor for your own use. The trip report includes a map of the route driven, start time, stop time, avg speed, max speed and duration. You can add notes to the trip report which then forms a permanent part of the history. You can identify which are private and which business trips and who the client is, if applicable. It is very easy and intuitive to use. 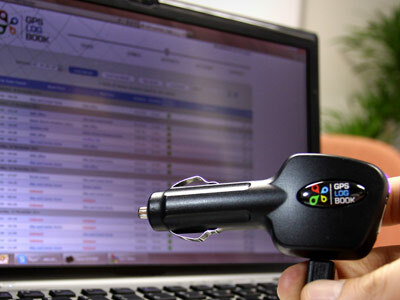 The GPS Log Book Web Interface is the backbone of the GPS Log Book system. It allows the user to manage their device/s, view trips and add locations as well as many other useful functions including various reports. A SARS compliant log book can be generated for use with the ITR12 Income Tax Return for Individuals. Data is stored for more than 5 years and can be viewed at any time if required. All of this data can be accessed from any location, on all major web browsers, using the intuitive Web Interface with the administrative functions for the GPS Log Book. A cable is provided to plug into your PC. The device has a USB port so that you can plug your cellphone into it to charge while it is still plugged in and working, in the car. You need to have internet access to do the reports and update the database. The URL is: http://www.gpslogbook.co.za, go and check it out. At time of writing it costs R849. It comes with a 12 month warranty.